Few know the story of bustling coal mining town turned ghost town. This town didn’t dry up from a lack of coal, but an abundance. 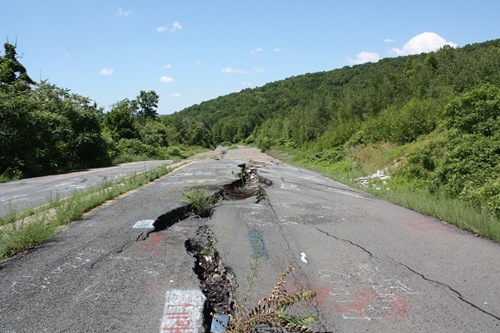 Prior to 1962 Centralia was a bustling coal mining town with over 1000 residents. However in 1962 the town’s volunteer fire department set the town landfill on fire as they did every year in its previous location to minimize the size of the pile. Little did they know that the burning trash, now in an abandoned strip mine, was sitting on top of a exposed coal vein. The town attempted to put the burning coal out numerous times and thought they were successful, however the fire continued to rage and moved underground into the coal deposits and abandoned mines under the town. As the fire raged under the town toxic fumes leaked into homes and a 4ft wide by 150ft deep sink hole opened up in one residents backyard almost swallowing a young child. The Pennsylvanian and US government spent $40 million unsuccessfully trying to flush out, excavate, suffocate, or contain the fire. Eventually residents were forced to relocate and were assisted through government funds and buy-outs. Today only a handful of about 9 residents refused to give up their homes and continue to live there. 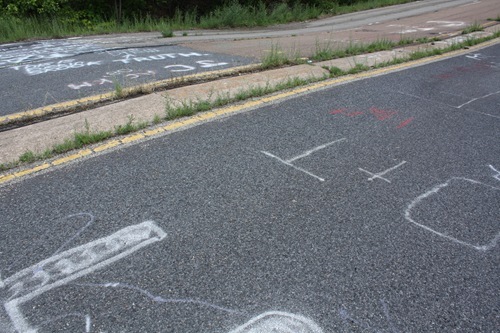 I recently visited Centralia while I was traveling through Pennsylvania as I had seen a show about it on tv. It was really cool to see, however there wasn’t much visible smoke due to the absence of water (snow or rain) to make steam. 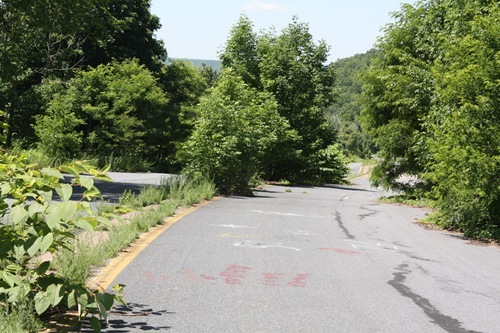 There was quite a bit of non-visible smoke that smelled of sulfur coming out of cracks in the abandoned section of Route 61. This gas was REALLY hot I wasn’t able to even put my hand over it a few inches from the ground without burning it in less than a second. The roadway was also much hotter than normal and my shoes even became softer and sticky on the bottom as they heated up. It was also very cool to see the remnants of the town with the numerous abandoned streets that lead to now demolished homes. This is the sign as you leave Ashland. On the bypass for the damaged section of Route 61. The church on the hill coming into town. The hill behind the cemetery. 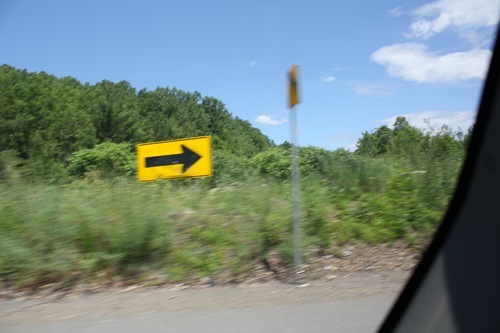 Behind this sign is the now abandoned section of Route 61 that is heavily damaged by the fire raging under it. 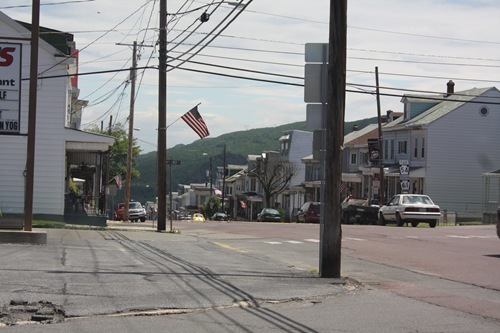 A picture of modern day Ashland, similar to what Centalia used to look like. The road buckling as the fire rages under it. The road has sunk about 3ft but the camera tends to flatten the image. The extensive damage the road has sustained from the fire. A 700ft long and 1-2ft wide crack in the middle of the lane. This is also where the smoke was coming out. 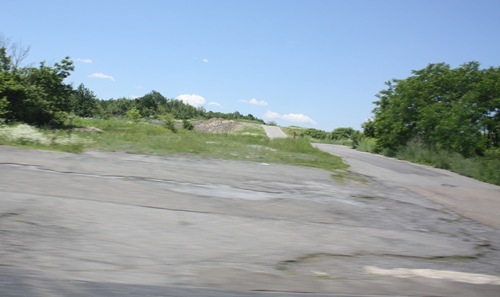 The pile of dirt separating the bypass from the old route 61. I was just in Centralia 2 days ago. Got to walk along Graffiti Highway. The last time I’d been there was in 2008 and there is so much less there now than when I was there before. It’s still a neat area, although you need a 4 wheeler to really explore the area as Mother Nature has taken back what was once Hers. I used to work for Centralia Boro. It was a wonderful little town with many friendly people and a lot of little businesses. It had a very close community feel to it, where neighbors looked out for each other. 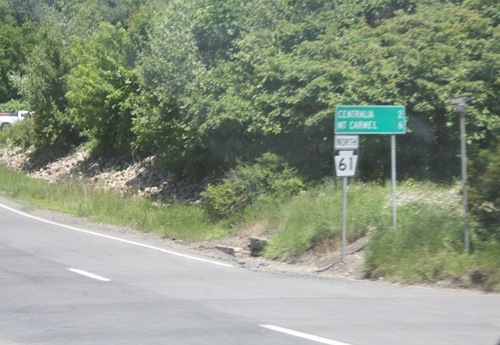 Centralia citizens loved their town and loved living there. They had great pride in their town. It was heart breaking to see them lose their homes and community. 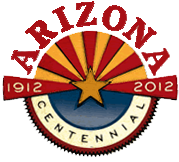 If you go visit now, it obviously is just a ghost of it’s former self, but it does have a wealth of history. The roads can be hot, and be careful as you explore. Last time I went there, I got a little sick in the stomach from getting to close to the gas fumes. It really is amazing the heat from underneath. 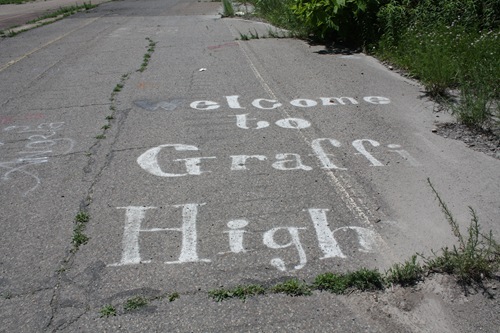 God Bless Centralia forever. I might visit very soon and I know im 5 years late posting, but sorry. All previous posts indicate it is still intact/not very visited… Excitment awaits! 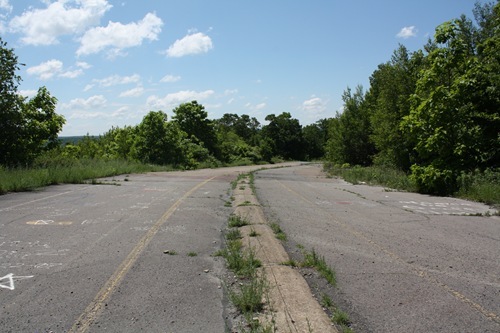 I’m a bit late in joining in with this thread, but I find Centralia and other ghost town very interesting. I thought it might be of interest that there is an old natural mine fire somewhere in Australia that has been going for 6000 years. Crazy stuff, especially considering the short history of the country. I had an aunt who used to live on Locust street in the early 60’s. She had many stories of hot basements and seeping gases. I was just there last week (75/2012), and did some real research. The fire can no longer be seen from town or old Rt 61, its moved off to the west or has burned itself out. We saw nothing of smoke, or steam, or hot spots. In fact much of the burned dead trees and foliage is now growing back rapidly meaning the fire is no longer burning below. Your one photo is mis-labeled where you state this is the hill where the fire started behind the cemetery. That is the went end South street that runs along the Saints Peter and Paul Cemetery’s. The coal vein was close to the surface here and just a few years ago you could see smoke and at night a slight orange glow, but its cold now. The fire started to the east in front of the Odd Fellows Cemetery. 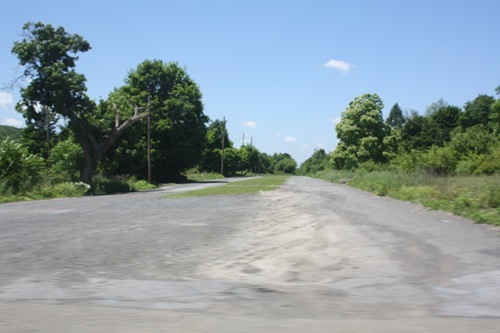 As you come back onto Rt 61 coming from Ashland look for a dirt road off to your right. Follow that back to a small cemetery. You’ll know its the right one when you see the two big gas pipes just inside the west and east gates. 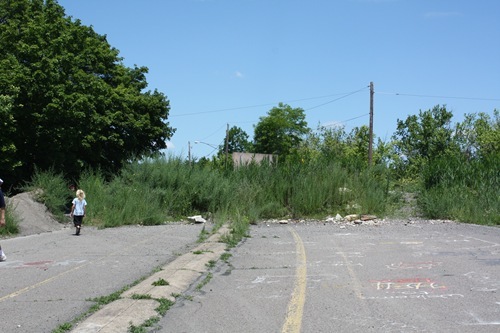 Across the dirt road from the main entrance to the cemetery facing north, is a bare area. That used to be the pit from an old strip mine that was being used as an open air dump. If you walk to the east up the ridge a little you’ll see two cold vent pipes rotting away. Thanks for letting me know about the picture. I’ll fix it right now. Also really cool story, thanks for sharing. 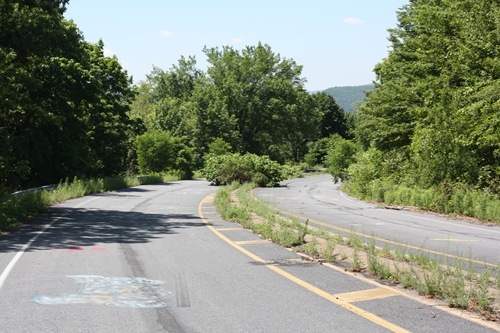 I used to drive through Centralia on almost a weekly basis during the summer of 1988, on that now-abandoned section of Route 61. Great story and pics. I just read that the town Silent Hill in the 2006 film was based on Centralia, because they were both abandoned due to a mine fire. I would love to visit this town and walk around a bit, it looks eerie yet very interesting! 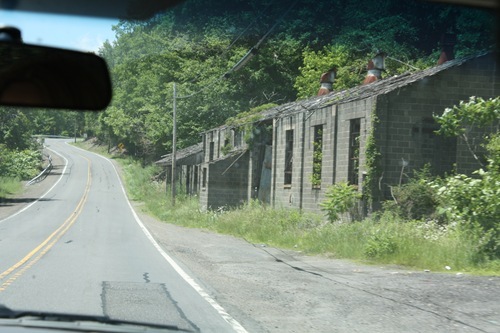 I have a fascination for “abandoned” towns. I read the Dean Koontz short story “Strange Highways” which is based on Centralia. Great story. I started with Pripyat, the town built for the Chernobyl nuclear plants. It sits exactly as it has since it was abandoned. There’s something about abandoned towns, especially ones that look as if people were just there a short time ago, that piques the imagination. Are the towns around Centralia addected at all by the Co2, extreme heat & other noxious gases? Thanks for the great pix! We were in Centralia this past Sunday 19 Sept. 2010 with some great friends. It is amazing to see that interest is still alive and well on the fire and abandonment of Centralia. I understand why the remaining residents remain, it’s in the muddle of no-where. Gotta love that. I do. An awesome place to go to for sure. I am going to try and go back in the winter when there is supposed to be more steam and sights. I read on Wikipedia that the fire is expected to burn for 250 (more) years. Ya, its pretty crazy. I know there are some places like this in Arizona where I am, but they are all in mines and since they can’t control the fires they just board up that shaft and continue to mine the others. Some of them have been going since the late 1800’s and the doors are still hot to touch. My Grandmother lived there and I think a few of my aunts did too. I was up there, probably 15 years ago as my mother is buried in the cemetary right outside of the close off area. Even then, you could only stay for a while before the heat coming through the bottoms of your shoes made it very uncomfortable. It am soprry to hear that the fire is creeping towards the cemetary. go in the winter when it’s really cold and take some pictures or video pls someone. ……the old hills do still live,go camp there some time….. I would love to add your older pictures to the mix if you would like. Send me an email at savagemania@gmail.com and I can add them. 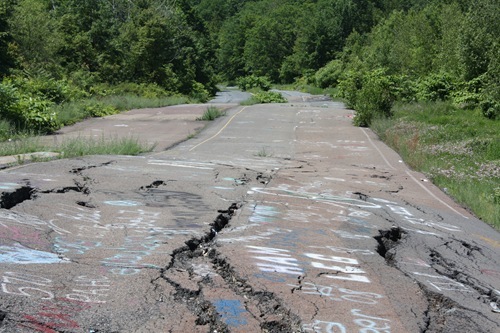 I just heard about Centralia and started reading up on it. I’ve always been sorta fascinated by “ghost towns” in general . 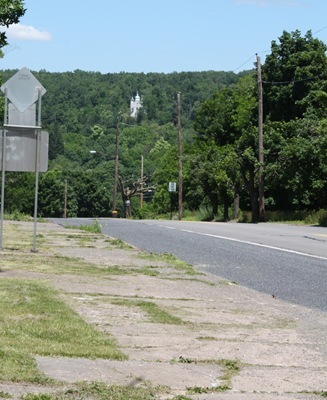 Y’know, I think the most intriguing detail of the Centralia story that I’ve heard is that a handful of people still live there. That’s a bit bizarro. WHY?? is the question that immediately springs to mind. I wonder what life is like living in such a place..
Well from my experience the “town” seems pretty normal from those few houses other than the fact that you are completely alone. However, this was during the summer when the gas being released is invisible for the most part. During the winter it is a whole different story with the steam clouds. Although the fire has begun to move away from the town and is now more towards the cemetery so it is not as bothersome as it once was. But you are right why would you want to live alone in a place with toxic gases and the potential for sink holes? The only reason I can think of is just plain old stubbornness. 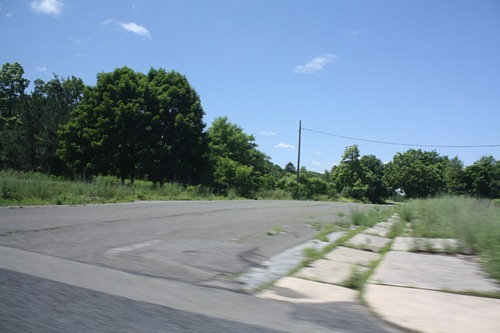 we went there yesterday and saw the old broken up highway,but we couldn’t find any of the old staircases that used to lead to houses,are they all gone now? I think they are as I did not see any of them either. Just went tonight, we explored pretty much everything, and there are still some stairways and sidewalks. I was just there today for the first time. Kinda weird that the church on the hill doesn’t even have anything resembling a parking lot. Wonder if it’s still in use at all? Ya the church is kinda errie. When you come into town as well. Yes, the church still holds services. I visited in 2004. Thanks for these. Awesome….you never cease to amaze me with the cool stuff you come up with…..Awesome job!